The Acoustic Lunatics are having a show in the warehouse Acoustic Lunatics here. 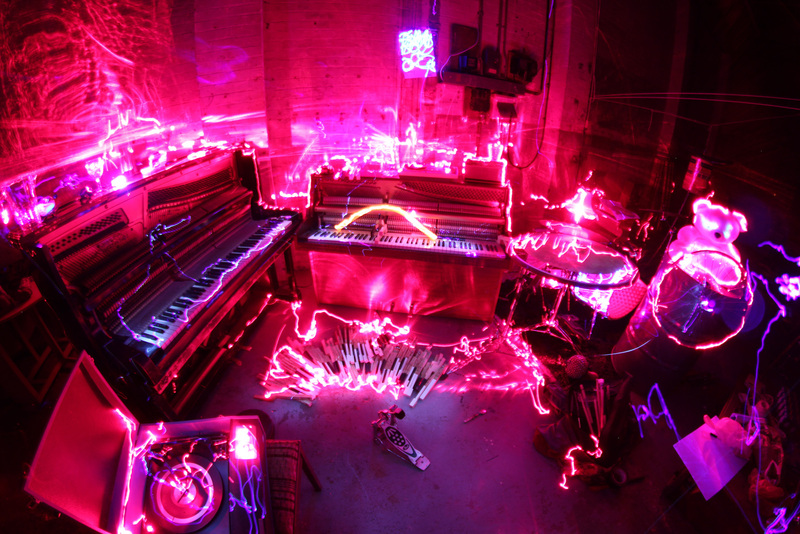 Long exposure using an LED keyring light and red and violet laser pointers electrify the instruments. 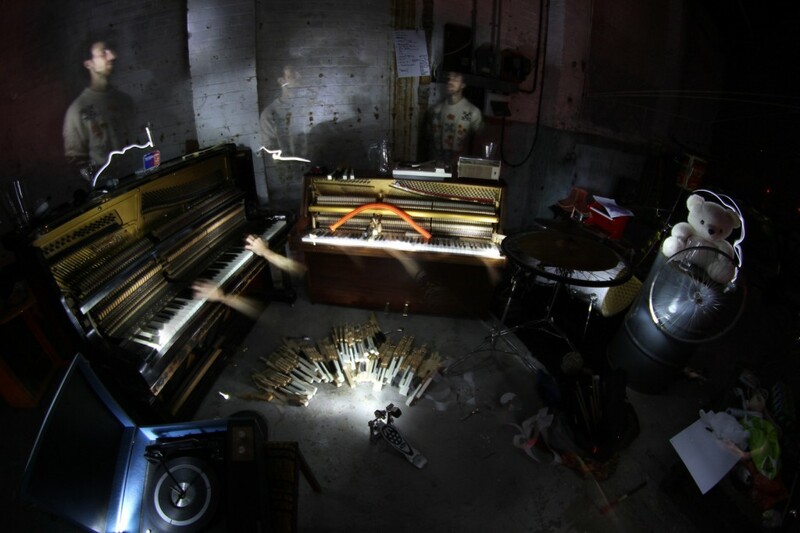 Niko’s ghostly dismembered hands haunt the warehouse.